On February 1st 1986 Music From Japan began the season with “Chamber Music/American Premieres,” a concert featuring works by five Japanese composers. 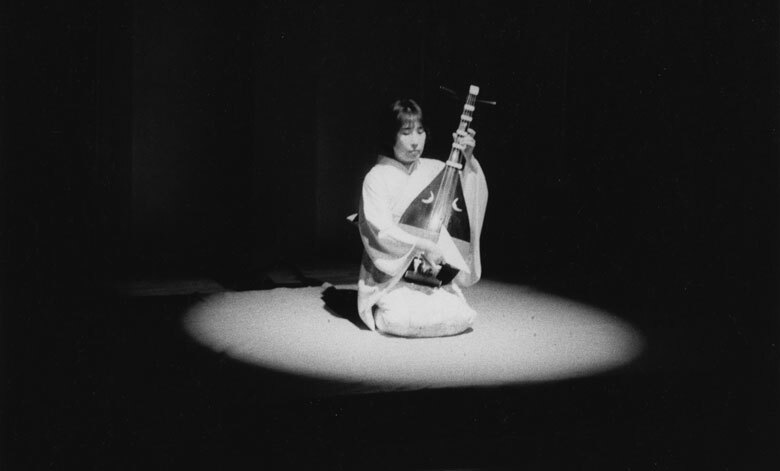 On February 1st and 2nd, MFJ hosted two conferences on Japanese music, “Japanese Traditional Music and Its Use in Modern Composition” and “Music in Japan Today.” The panels included critics, composers, and biwa virtuoso Junko Handa. On February 2nd, Handa gave a biwa recital also featuring koto player Reiko Kamata and shakuhachi artist Akikazu Nakamura. The concert included both traditional and contemporary pieces.